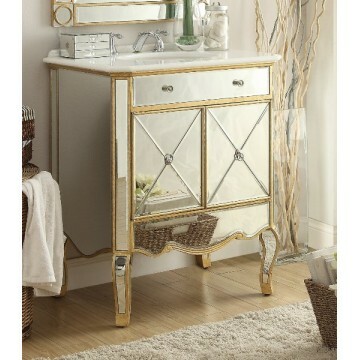 Home » Mirrored Vanity » 30" to 39" » Adelisa 30"
This petite mirrored vanity will add elegance and function to your bath. 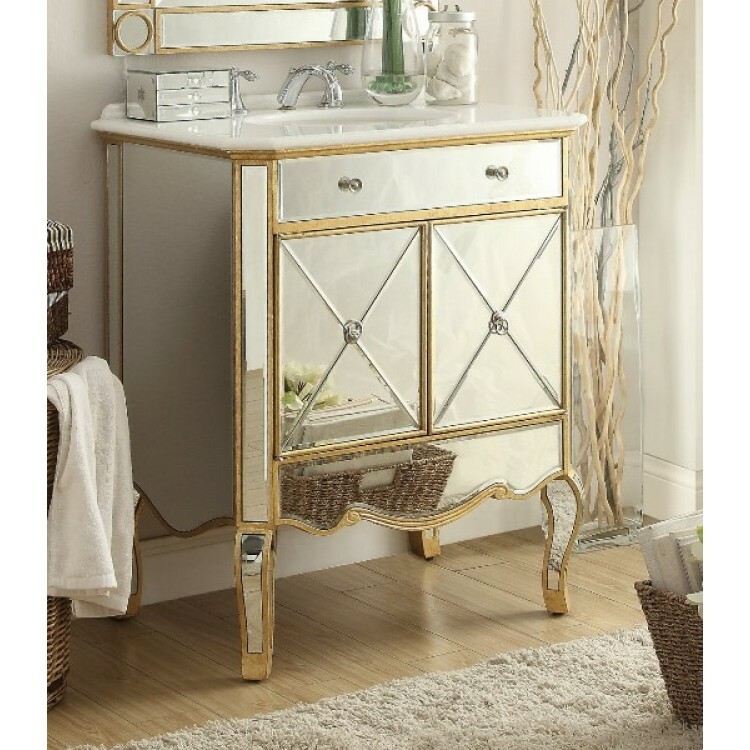 A luxurious Carrera marble top crowns this charming bathroom addition. An undermount white sink highlights the overall allure of this masterfully crafted, hand finished piece featuring a mirrored double door cabinet providing ample storage space, standard pre-drilled holes and large back cutout allow for easy plumbing installation.